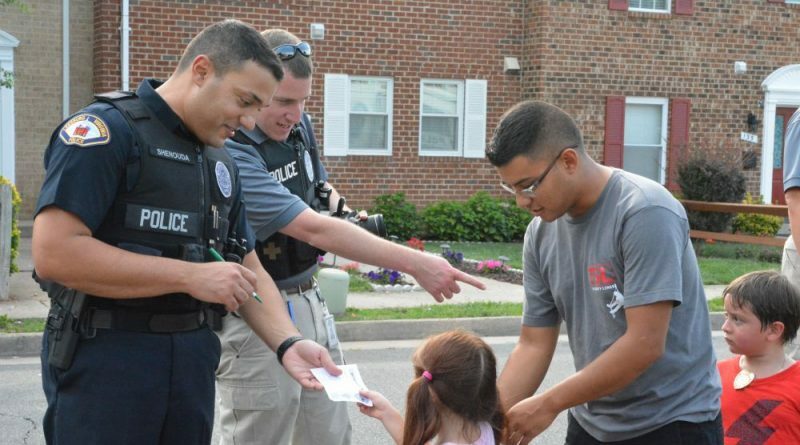 Law enforcement agencies across Loudoun and the nation spent an evening meeting their neighbors for National Night Out on Tuesday. National Night Out is an annual campaign promoting police-community relationships and awareness of police programs such as drug prevention and neighborhood watch. According to the National Association of Town Watch, which created National Night Out in 1984, millions of people take part in National Night Out across thousands of communities in all fifty states, U.S. territories and military bases worldwide. The event is meant to bring police together with their communities under positive circumstances. Neighborhoods host block parties, festivals, parades, cookouts and various other community events with safety demonstrations, seminars, youth events, and police equipment on display. In Loudoun, the Loudoun County Sheriff’s Office hosted activities in seven places across Loudoun, including Martin’s Chase, the Reserve at Tall Cedars, South Riding Proprietary, Ashburn Village, Pembrooke of Loudoun, Central Parke at Lowes Island, and together with the Purcellville Police Department. 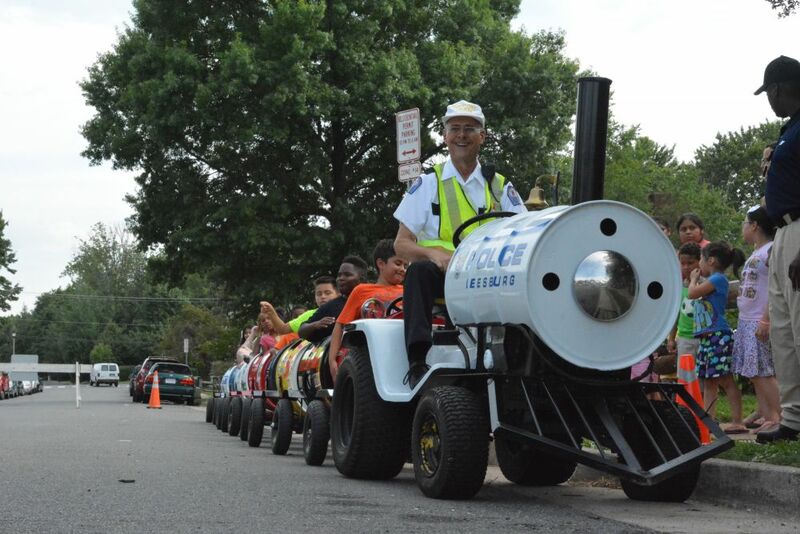 The Leesburg Police Department hosted activities in two neighborhoods. The main site for festivities in Leesburg was the Loudoun Hills neighborhood on Meadows Lane NE. Hosted by the Loudoun Hills Homeowners Association, the evening included children’s activities and police equipment displays. Loudoun Hunger Relief was also there distributing non-perishable food and information about their programs. In the Sycamore Hills neighborhood, activities included a moon bounce, refreshments and demonstrations by CVR Martial Arts and the School of Rock. Leesburg’s National Night Out was sponsored by Ashburn Rentals, Atomic Trampoline, Buffalo Wild Wings, Chick-Fil-A, Costco, CVR Martial Arts, Kohls, Leesburg Animal Park, Manhattan Pizza, School of Rock, Subway, Target and Wegmans.